Until recently, performing sinus surgery in conjunction with rhinoplasty would have been unthinkable. This is because in the past sinus surgery was complex, involved significant downtime and was associated with a greater risk of complications. 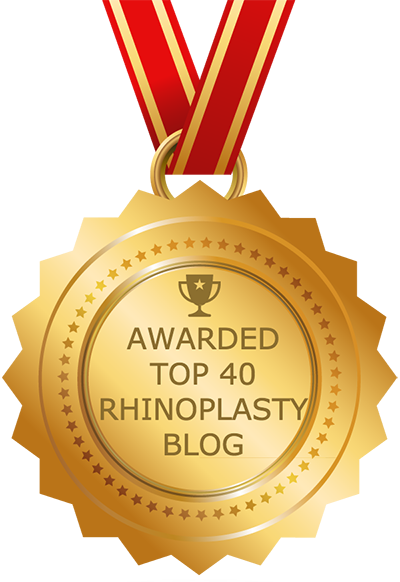 Thankfully, today’s modern techniques make complications more rare, and sinus surgery can now be completed alone or in combination with other nasal procedures, including rhinoplasty. Not everyone with sinus problems needs to have surgery. Even with today’s modern techniques, it is a serious surgery that should only be performed if necessary. However, for those with serious sinus problems, sinus surgery can be a godsend. The only way to know for sure if you need sinus surgery is to undergo a thorough evaluation from an ear, nose and throat specialist (ENT). Sinusitis can have multiple causes, from allergies to polyps or septal deviation. Your ENT can determine which if these applies to your case. The doctor will also ask you questions about your medical history, and medications you’re taking, whether or not you smoke and other factors. Before deciding to recommend surgery, your ENT will likely try other treatments first. These may include decongestants, over-the-counter pain relievers, nasal corticosteroids to treat inflammation as well as nasal sprays and possibly nasal irrigation. When Should Sinus Surgery Be Considered? Why Is Sinus Surgery Necessary? Sinus surgery becomes necessary when your sinus problems won’t disappear on their own. A pattern takes hold beginning with a bacterial infection that then leads to swelling and makes it difficult (or impossible) for the sinuses to drain properly. This, in turn, causes infected fluid that will not respond to antibiotics to build up. Eventually, biofilms may appear and the nasal bones can become infected. Today, a sophisticated procedure called functional endoscopic sinus surgery (FESS) is available to address these issues. A FESS procedure can not only cure sinusitis, but also improve breathing. In addition to sinus surgery and rhinoplasty some patients may need to have septoplasty to repair anterior septal deviation; spreader grafts to narrow the internal valves; techniques to address external valve collapse; and/or turbinate reduction to correct breathing problems. So long as there is no infection present, a combined procedure that includes both rhinoplasty and sinus surgery can have outstanding results – both aesthetic and functional — with minimal complications. Advances in sinus surgery methods and instrumentation have created a procedure that is quicker, safer, more comfortable and more fine-tuned. Undergoing both of these procedures at the same time also means less downtime. What’s more, patients only have to go under anesthesia and recovery once. Ideally, the surgeon who completes your combined rhinoplasty should be an ENT who is also board-certified in facial plastic surgery. He or she should have board certification in facial plastic surgery from the American Board of Facial Plastic and Reconstructive Surgery (ABFPRS), and in otolaryngology-head and neck surgery from the American Board of Otolaryngology (ABO). This type of surgeon is an expert in all parts of the nose, including internal, external, structural and functional elements. Put another way, surgeons with dual board certification in these areas have an in-depth understanding of the inside of the nose as well as its external appearance — and they know how to alter both as necessary during surgery to achieve the desired result. Finding a surgeon that fits this description may take some time, but it will be worth the effort.